The Ófeigsfjarðarflói is divided into three fiords, furthest east is Ingólfsfjörður, in the middle is Ófeigsfiörður, and furthest west is Eyvindarfiörður. Those fiords were named after three brothers, the sons of the Norwegian Herraudur White Cloud (Herraauður Hvítaský) , who settled there. 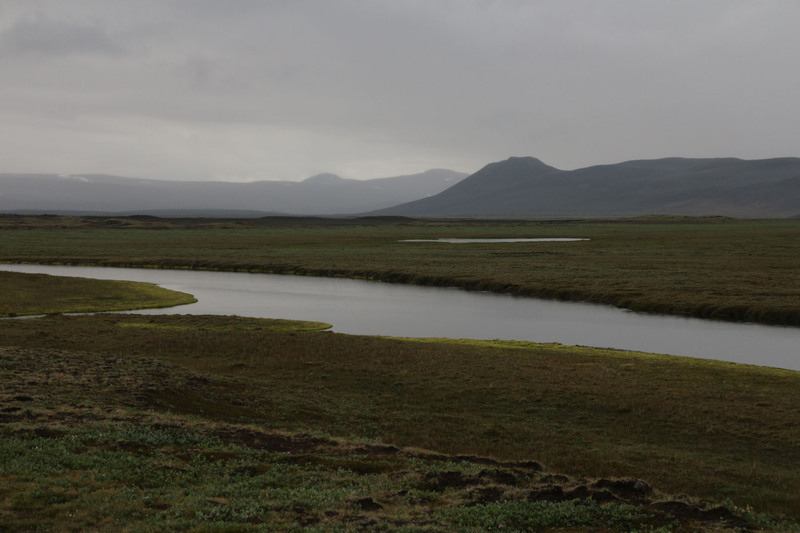 According to the land registry of 1706 the farm in Ófeigsfiörður was abandoned, but soon afterwards it was re-inhabited. The register also states, that the most important advantages of the property were seal hunting, driftwood collecting and processing, eiderdown and the winter grazing on the shoreline. The greatest disadvantages were the long and hard winters and the long and dangerous way to the nearest church. The farm was abandoned in the sixties, but the driftwood and the eider colonies are exploited every summer. 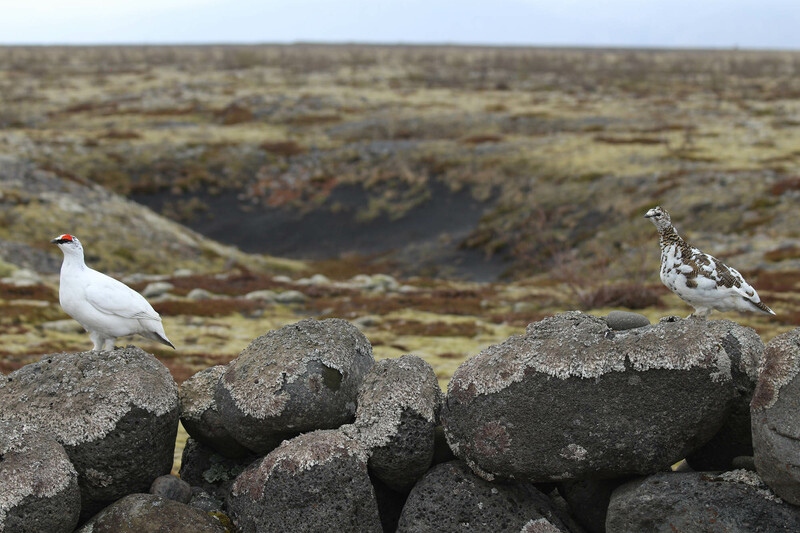 The eiderdown is mainly collected on the islet Hrútey, just off the headland Hrúteyjarnesmúli, and also around the farmhouses. Sustenance fisheries were also practiced during the centuries and the shark fishing was an important enterprise until 1915. During Catholic times a prayer chapel stood in Ófeigsfiörður. Some geothermal activity was spotted in two places on the property. Nowadays travellers use the nice camping grounds in Ófeigsfiörður. 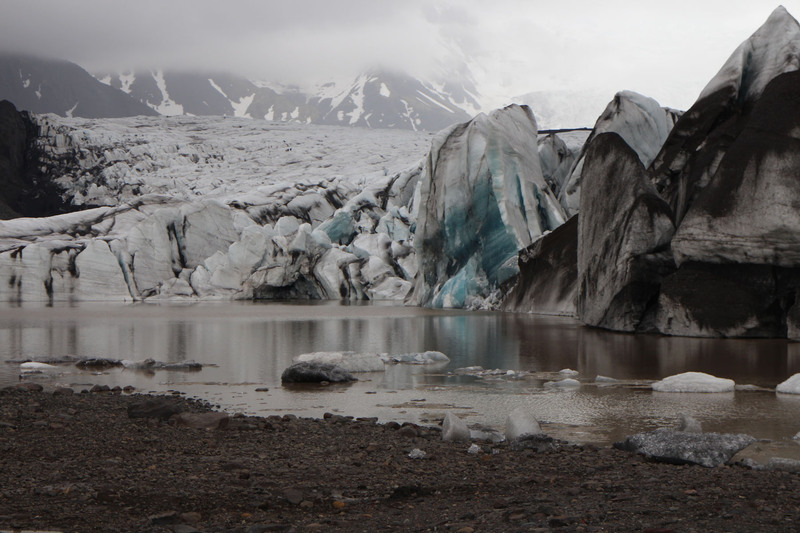 Hikers in the northern Strandir area use them in the beginning or at the end of their hiking tours. The closest you get to Ófeigsfiörður by car is Eyri in Ingólfsfiörður, but a 4wd track continues all the way. Following recording was recorded nearby the camping side. 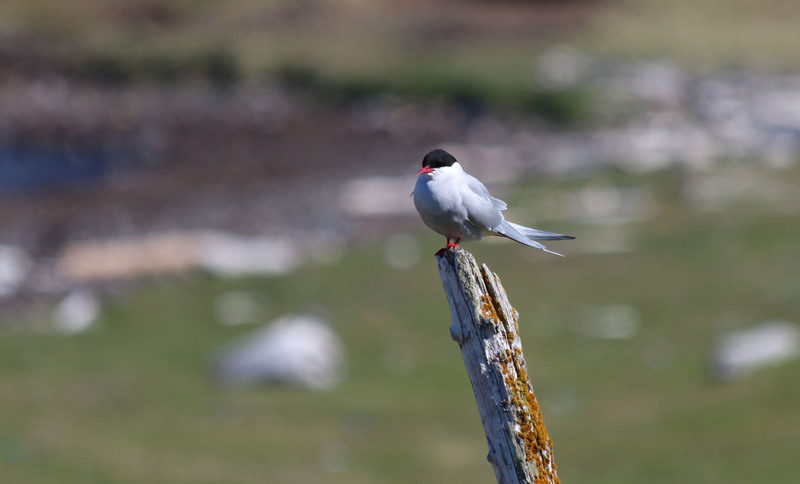 In the recording an Arctic tern is constantly attacking the fury microphones. But the battle last for only twenty minutes so the recording ends in a peaceful sonic experience. Hér er á ferðinni upptaka sem tekin var upp við tjaldsvæðið í Ófeigsfirði, síðdegis þann 25. júní 2015. Kría gerir ótal árásir á óboðinn gest við hreiðurstæð sitt. Árásirnar standa yfir í u.þ.b. 20 mínútur en eftir það fellur allt í dúnalogn og við tekur hljóðmynd sem er hljóðlát og draumkennd. Mælt er með því að hlusta á upptökuna í góðum opnum heyrnartólum og á miðlungs hljóðstyrk. Weather: Around 12°C , Calm, dry and sunny. The Jökulsá á Fjöllum river was a large obstacle in the past. River crossings on horseback were not possible so ferries were used at three different locations. The refuge hut was built at one of these locations, intended to house the travellers. The river was first bridged here in 1948. The road through Mývatnsöræfi was partially buried underneath the lava flow during the Mývatnseldar eruption in 1875. A few years later a new road was laid though this wilderness. The cairns indicate the location of this road, which is one of the earliest examples of a public road making. This was also used as a postal road. The refuge hut was built in 1883 from dressed stone quarried from the surrounding area and bound with lime. A number of men participated in transporting the timber, lime and cement for the construction, all the way from Vopnafjörður, Húsavík and Akureyri. The low ceilinged cellar was used as a stable, its entrance having once been protected by a lean-to. The suspected haunting of the hut prevented a proper use of it. The refuge hut at Jökulsá á Fjöllum plays a role in the novella Aðventa (The good Shepard) by Gunnar Gunnarsson. 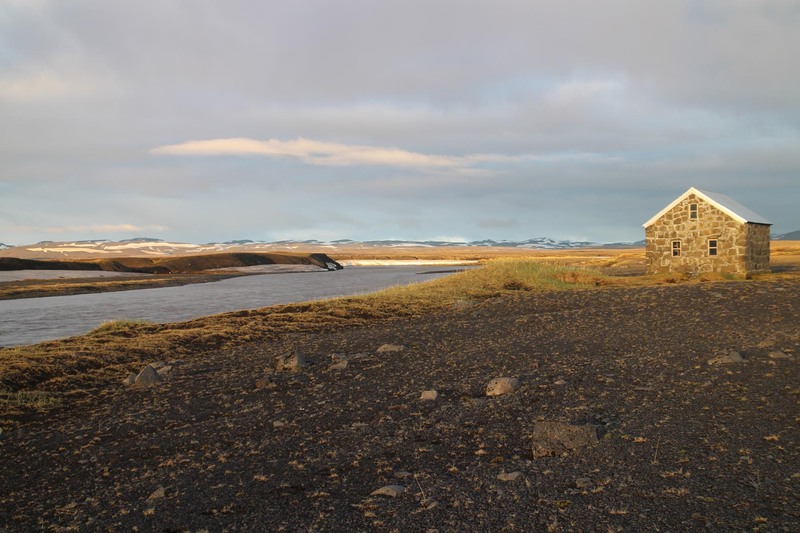 Not only was this a period of intense volcanic activity, it was also a time of innovation in building techniques in Iceland, of which the construction of stone houses was a part. Prior to the construction of the refuge hut, stone houses had been built in a few places in the North-east. These included Þverárkirkja in Laxárdalur (1878) and a vicarage in Sauðanes (1879). The construction of the Althing Parliament House in Reykjavík in 1881 also had a considerable impact on the propagation of stone houses in Iceland. The recording starts under the hut´s wall. The wind gently wipes the surface around the hut when a lonely Snow Bunting gives a weak song to the empty black desert. Then the recording slowly moves from the hut to the river’s bank, to a place that could tell many stories from the past if the stones could speak. The recording ends with a squawk from two Pink Footed Goose that overfly close over river’s surface on the way to the north. Quality headphones are recommended while listening at low- to mid level. Sæluhúsið við Jökulsá á Fjöllum. Fyrr á öldum var Jökulsá á Fjöllum víðfeðmur farartálmi. Áin var hvergi talin reið og voru lögferjur á þremur stöðum. Sæluhúsið var reist við einn slíkan ferjustað en fyrst var brúað hér árið 1948. Þjóðleiðin um Mývatnsöræfi fór að hluta undir hraun í Mývatnseldum árið 1875. Nokkrum árum síðar var ráðist í að leggja nýjan veg um öræfin og var Jakob Hálfdanarson, síðar kaupfélagsstjóri kaupfélags Þingeyinga, valinn til að stýra verkinu. Vörður sýna legu vegarins en þessar vegleifar eru með elstu minjum um opinbera vegagerð á Íslandi en þetta var jafnframt póstleið. Sæluhúsið var reist árið 1883 úr tilhöggnu grjóti úr nánasta umhverfi. Timbur, kalk, sement og önnur byggingarefni í húsið voru flutt alla leið frá Vopnafirði, Húsavík og Akureyri með aðkomu fjölda manna. Lágreistur kjallarinn var notaður sem hesthús og var inngangsskúr, bíslag, áður yfir kjallaratröppum. Notkun hússins varð þó ekki sem skyldi sökum frásagna um reimleika. Húsið er hluti af sögusviði Aðventu eftir Gunnar Gunnarsson, þar sem greinir frá ferðum Fjalla-Bensa, Benedikts Sigurjónssonar. Gamalíel Einarsson var fenginn að byggingu sæluhússins sumarið 1883 sem aðalsmiður hússins en Sigurbjörn Sigurðsson, Jakob Sigurgeirsson og Friðrik Guðmundsson áttu þar einnig stóran hlut. Jakob Hálfdanarson mun hafa ráðið staðsetningu og útliti hússins. Landssjóður veitti fé til smíðinnar. Þessi umbrotatími jarðskorpunnar var einnig tímabil nýrra hugmynda um byggingatækni á Íslandi og var bygging steinhúsa hluti af þeirri nýbreytni. 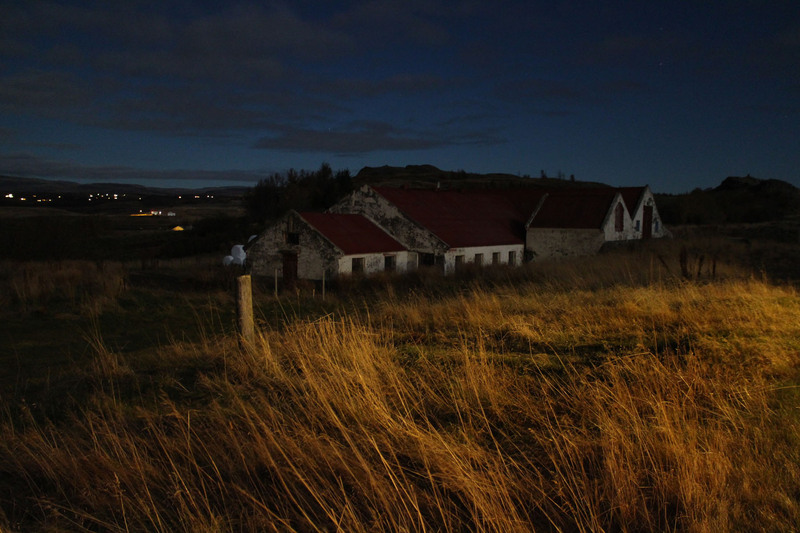 Steinhlaðin hús voru tekin að rísa hér og þar á Norðausturlandi nokkru áður en sæluhúsið reis af grunni. Meðal þeirra voru Þverárkirkja í Laxárdal (1878) og prestsbústaður á Sauðanesi (1879). Bygging Alþingishússins í Reykjavík árið 1881 hafði einnig umtalsverð áhrif til frekari fjölgunar steinhúsa á Íslandi. Upptakan hefst undir húsvegg sæluhússins þar sem vindurinn gælir við hrjúfa veggi. Einmana sólskríkja gefur tóninn út á eyðisandinn. Upptakan færist síðan hægt og rólega niður að árbakkanum á stað sem eflaust gæti sagt margar fornar raunasögur ef steinarnir gætu talað. Mælt er með því að hlusta á þessa upptöku í góðum heyrnartólum og á lágum- til miðlungs hljóðstyrk. Weather: Cloudy, gusty, ca. 6°C.